When Ania Milosz falls to her death in a Polish city, her father, Will Gillen, accepts the verdict of suicide. Ania, an expert witness, was about to be exposed as a perjurer and a liar. Will knows his daughter was neither, but he also knows the terrible burden she carried from her past when her sister was abducted and murdered. He realises there is one thing that may have made her fabricate evidence in a harrowing murder case: after all these years, has she found her sister’s killer, and has the prospect of his release driven her to the point of suicide? Ania’s lover, Dariusz, won’t accept this. He knows Ania did not kill herself. Does Will really know his daughter, or is there an even darker story behind Ania’s death? He is haunted by images of his dead daughter. Is she trying to tell him something, is she trying to warn him, or is his grief driving him mad? 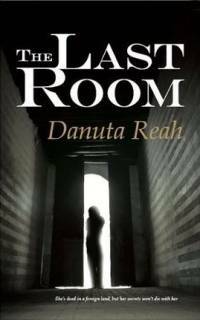 The Last Room is a dark and haunting book that explores the aftermath of a death and the different ways a crime may present itself; suicide or murder? Police ineptitude or corruption? And will there be more deaths? 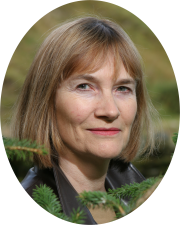 "A dark, psychological thriller about deeply hidden secrets and the aftermaths of death..."
"a richly plotted, multi-layered drama with raw emotions and boundless grief at its heart." Read an interview with Danuta Reah about The Last Room at Fashion Abecedaire.